The highlight of the fair, at least for me, were the independent vendors from Berlin. 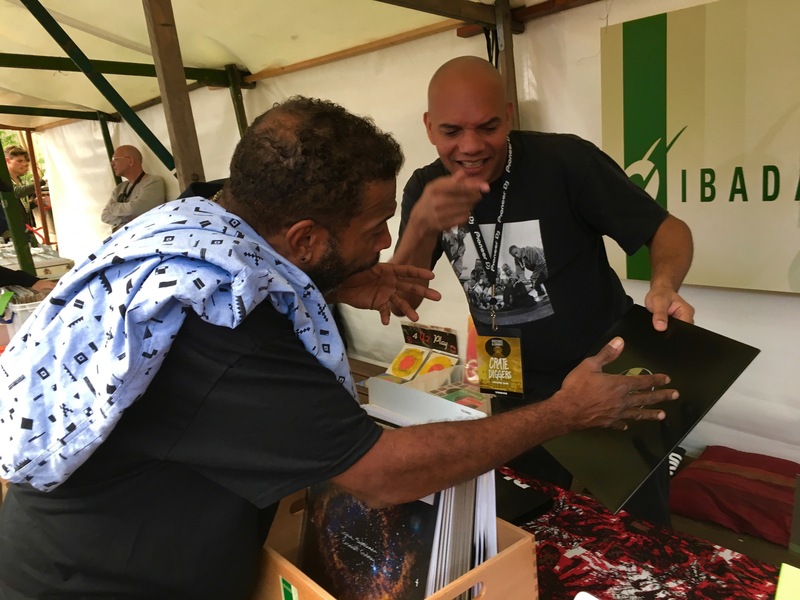 These vendors (mostly 60+) were selling second hand vinyl in almost mint condition. I spent roughly a good hour going through old Soviet bootlegs of American primetime hits. I also managed to get my hands on some actual Russian “ribs” (Музыка на рёбрах)! 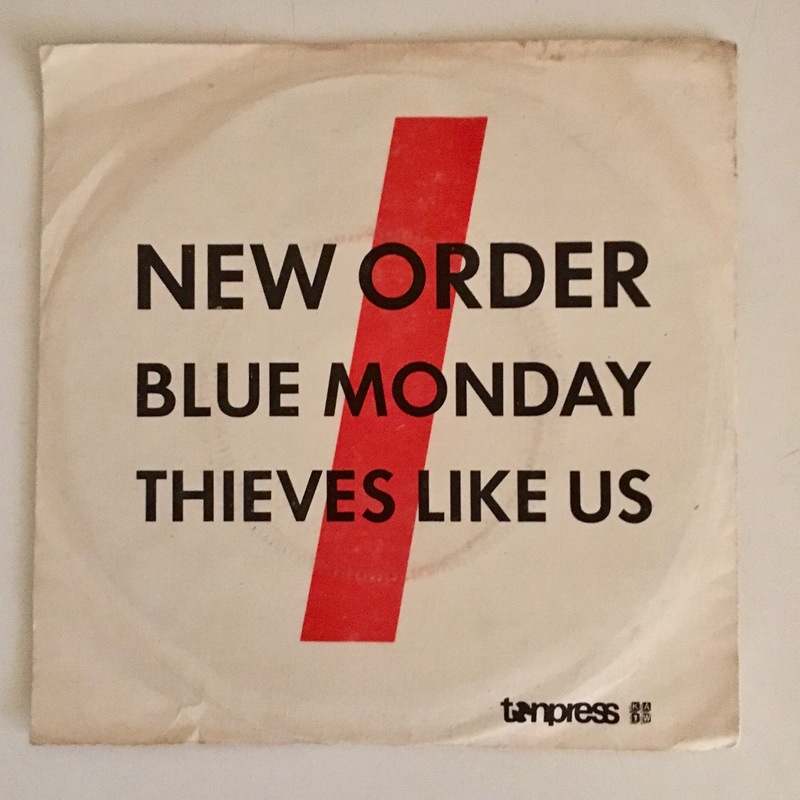 I had heard of these sorts records from my grandparents, but had never actually ran into one. For more: check out this dope documentary on the 1950’s Russian black market for gramophones (sorry in Russian only). Ibadan boys holding the fort! We reached the peak around 17:00 as people began turning up more and more. 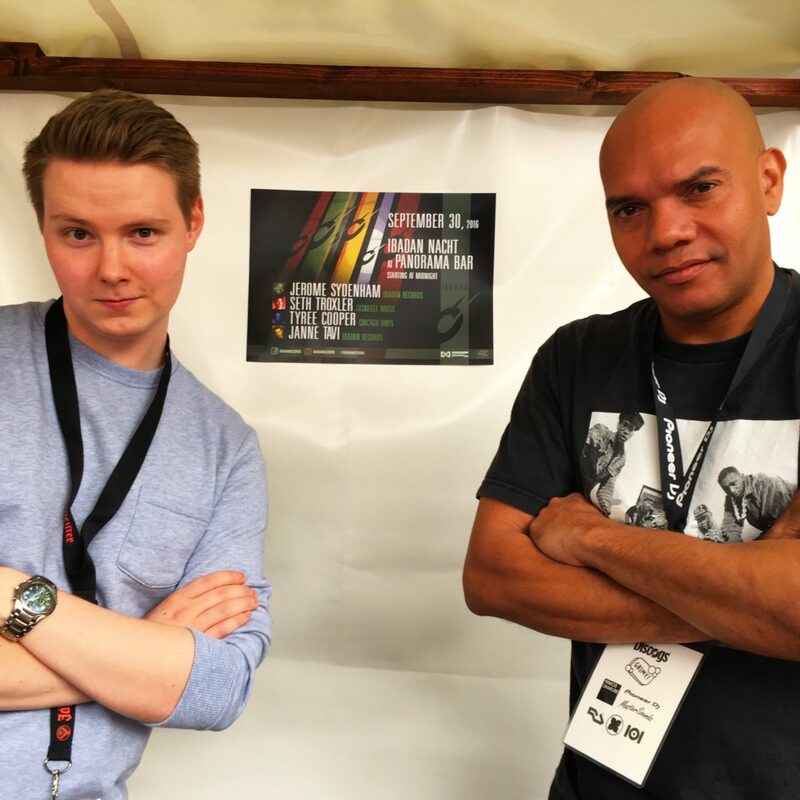 I was positively surprised by the warm welcome we received as an independent label. The visitors had a lot of questions about our new releases, possible represses and events. The record fair was from 12:00 to 20:00 followed by a killer after-party with Theo Parrish and Marcellus Pittmann at Prince Charles. P.S. To stay in the loop with Ibadan Records and future record fairs, follow us on Facebook and Instagram. 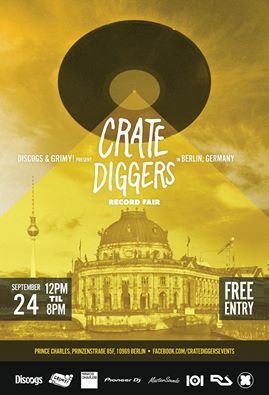 On Saturday 24th of September 2016 Ibadan Records will take part in the Crate Diggers Record Fair. For those ones who are not familiar with “Crate Diggers” event series, it’s a record fair arranged by Discogs, the world’s largest music database and marketplace. They’ve been doing these events since 2014, the first being held at Portland, Oregon with following vinyl fairs in Los Angeles and Miami. This time they’re doing an event in the heart of Europe, Berlin. It’s always heartwarming to see the music community coming together to listen and socialise around the topic of vinyl. As soon as we heard about Discogs doing an event in our backyard, we jumped onboard to help the community. 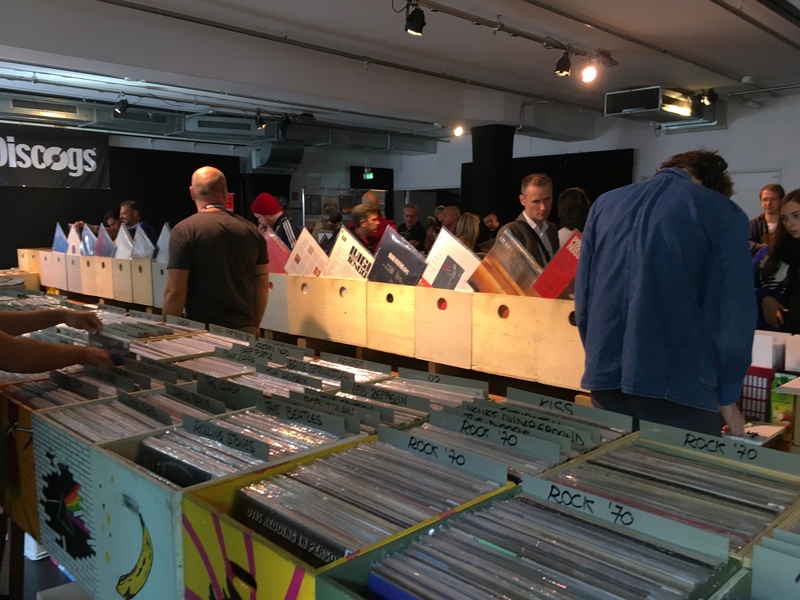 The last time we took part in a vinyl market was March 20th, 2016 for Breakfast & Vinyl at Markthalle Neun. So I’m really glad to be back behind the stand on behalf of our label. P.S. If you’re interested in hearing out what we’ll be brining to the market, check out the below playlist. It’s 11:00 PM on my campus as I’m writing this. I literally spent the whole day in the library brushing up on econometrics and the thought about spinning at Panorama Bar had not even crossed my mind…. not. Next week, huh? It’s surely gonna be something special. Behind the decks Jerome Sydenham, Seth Troxler, Tyree Cooper and yours truly, the 24-year-old pale-faced Finn surrounded by industry veterans. There are some events you really look forward to and this is one of them. I remember walking into Panorama Bar for the first time when I was 18. I was amazed how the DJ could control the atmosphere of the whole floor and how it went through several moves throughout the night. After moving to Berlin in summer 2014, the establishment quickly became one of my favorites. I’ve been on the floor countless times until the closing and I always kept thinking what it would be like behind the wheels of steel. Last year we had our 20th label anniversary at Panorama Bar, which undoubtedly was phenomenal. This year we’re continuing with the same spirit. In addition, Seth is back and is joined by Chicago’s Tyree Cooper. I’m sure we will hear a couple of Ibadan classics during the night. If you’re in Berlin, come say hi and let’s have a drink – or two after my set. It’s gonna be the Finest Friday in town. P.S. To keep yourself up-to-date with our movements, follow Ibadan Records & me on Instagram. Hi everyone! 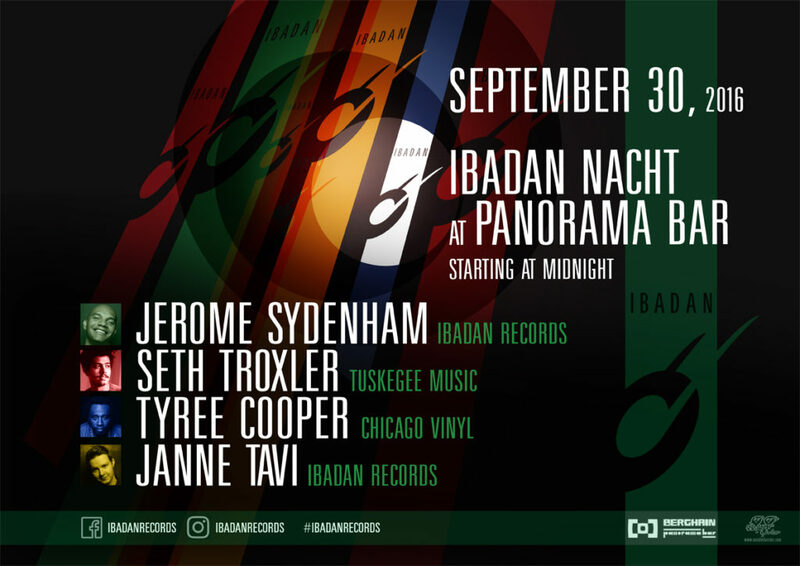 Happy to announce that on Sept 30 I will be joining the Ibadan Records Nacht at Berlin’s Berghain / Panorama Bar. It’s going to be a fantastic night surrounded by friends & family.